Small, lightweight and perfect for an active lifestyle. 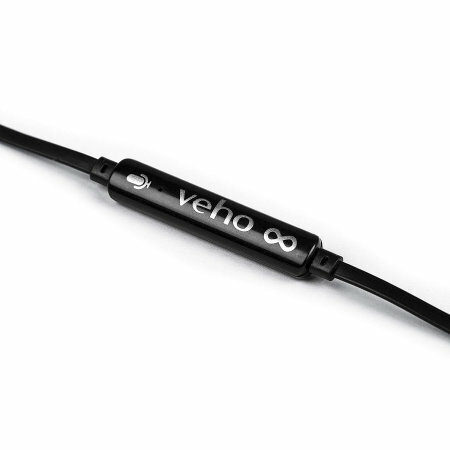 These Veho ZS-3 earphones feature non-slip earbuds, ear hooks, an anti-tangle flex cord with an incorporated mic and noise isolating technology. 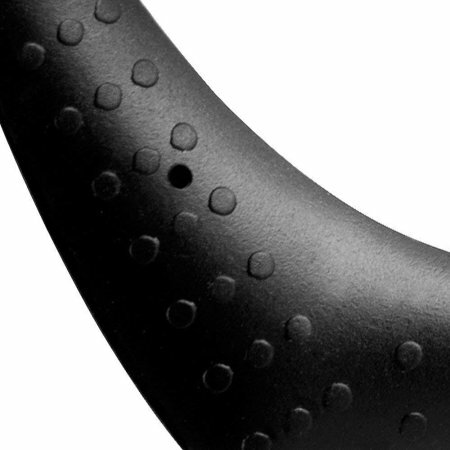 IP64 rating means water and sweat resistance. 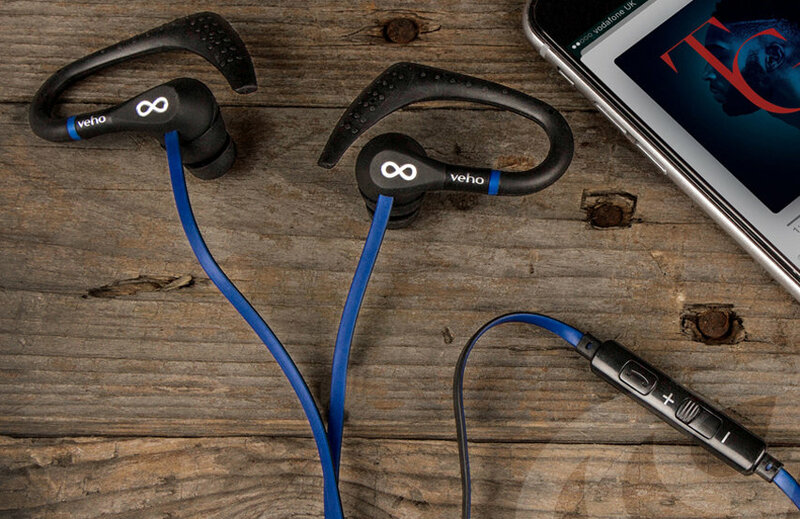 The Veho ZS-3 earphones are small, lightweight and designed for an active lifestyle. 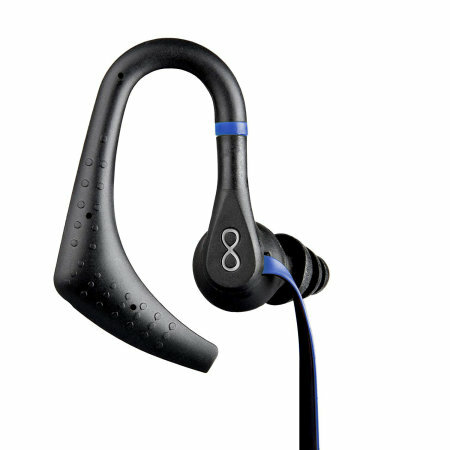 The ZS-3’s stereo earphones come in a water, rain & sweat resistant casing with an anti-tangle flex cord and are rated at IP64, which means that these sports earphones will be protected from total dust ingress and water spray from any direction. What all this means essentially is that you can take them pretty much anywhere, do anything, and they will perform perfectly. The ZS-3s are ideal for gym workouts, cycling, running, skiing, snowboarding, skateboarding and other indoor and outdoor sports activity. 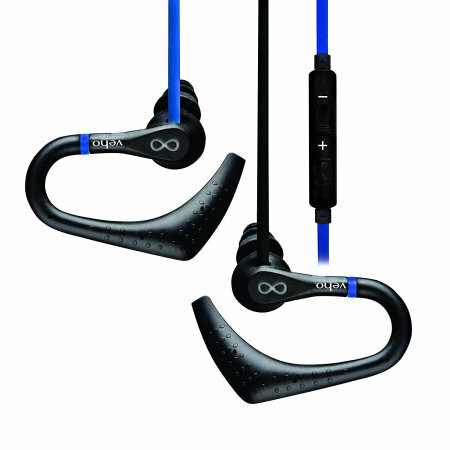 Designed by renowned UK audio manufacturer Veho, the ZS-3 sports earphones feature professional standard cabling that increases the clarity, dynamics and power of the audio signals that travel through them to deliver a rich sound quality. Additionally, advanced driver technologies with bass enhancement are engineered to deliver powerful bass, punchy mids and crystal-clear highs with a wide dynamic frequency range from a deep 20Hz to a crisp 20KHz. The 10mm drivers deliver awesome sound for such a small device, meaning that no matter what your taste in music is, this technology will deliver it as it was mean to be heard. Veho ZS-3 earphones feature unique noise isolating technology in order to produce distortion-free bass, clear mids and super-crisp highs for a truly unique audio experience. You get to hear only want you want to hear and nothing else. 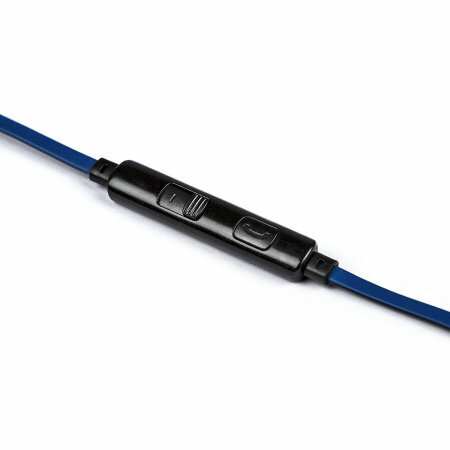 Incorporated on the cable are extremely easy to use multi-function controls, that allow you to control your music without having to touch your phone. A simple press of the multi-function controls enables you to change your devices volume and skip the tracks of your music. You can even handle phone calls hands free, making for the perfect way to talk when driving, exercising or just around the house when you need your hands free. 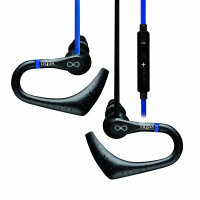 With the ZS-3 Sports earphones you need not worry about knotted cables. The 3mm wide yellow and black flat headphone cable is specially designed to resist tangling, so you can store them however you want and pull them straight out, ready for use when you need them. They wont become distracting and obstructive in your activities either! This is a priceless feature as anybody who is active and like to listen to music will tell you. 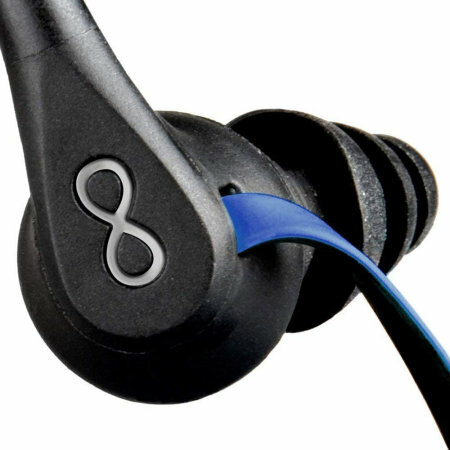 Included in the pack of these Veho ZS-3 headphones are non-slip earbuds designed to give you the the best possible earphone fit without coming loose. 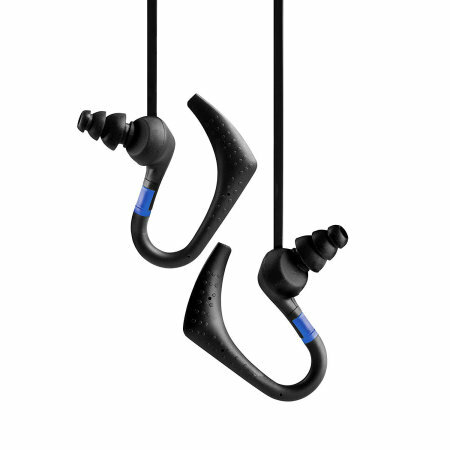 Not only will this provide maximum comfort, but also ensure the ultimate in sound quality Not only that, the ear hooks will fit comfortable and effortlessly over your ears to make double sure they stay in place. Simply put - once you place them on your ears, they're not coming off until you want them to! Fully compatible with audio device with a standard 3.5mm stereo jack, the ZS-3 earphones are fully compatible with any smartphone or music device which support a 3.5mm aux output.